A dark and savage satire on the Anglo-American cultural divide, The Loved One depicts a world where love, reputation and death cost a very great deal. 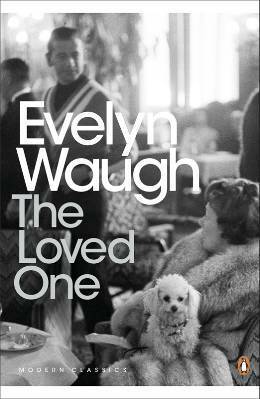 The Loved One is a story with a slightly different focus than many of Waugh's key works; however, it still employs his trademark dry wit and biting satire. In fact, of all his works I've read so far, this one probably has the darkest humour. For all that, it is highly entertaining, and such easy reading that I finished it in a couple of hours. I loved the characters, each of whom were flawed in their different ways, and I appreciated the fact that no one really comes out at the end as the clear hero/good character. This is a brilliant quick read and suitable both for Waugh fans and for those new to his work.